Why Would I Want To Detect CO? The United States does a good job with stopping preventable deaths due to carbon monoxide but we still could be doing better. To give you some context, lets compare carbon monoxide deaths with mass shooting deaths. Somehow our society has been dealing with more and more mass shootings. They happen way to frequently and take place in locations that we once thought as safe and even sacred such as schools and places of worship. According to Mother Jones, in 2017, there were 117 deaths as a result of mass shootings defined as having at least four people wounded or killed. This probably doesn’t come as a surprise to you because of the media coverage (rightfully so). But did you know that on average 374 deaths happen each year as a result of carbon monoxide poisoning? The CDC reports that between, 2010-2015 a total of 2244 unintentional carbon monoxide deaths have happened. The American Council on Science and Health did a great article on this topic if you are interested in more details. So why doesn’t something that kills over 3x more people each year than mass shootings get more national media coverage? I’m not sure, but perhaps that is just another reason why carbon monoxide is appropriately called “the silent killer”. If you want to learn more about carbon monoxide then keep reading through our detailed guide below or you can click here to jump to our recommended best carbon monoxide detectors. Carbon Monoxide or it’s scientific abbreviation CO, is a colorless, odorless, tasteless toxic gas that and is an asphyxiant or can cause unconsciousness or death by suffocation due to lack of oxygen. This is the real reason why carbon monoxide is known as the silent killer. Sound scary yet? I hope so because it can be very dangerous. So where does carbon monoxide come from? 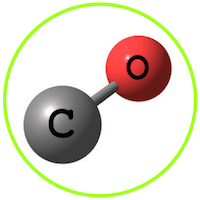 CO gas is produced by the incomplete burning of carbon based fuels (fossil fuels). There are a lot of common household appliances or engines that use these carbon based fuels that may or may not be used in or around your home that produce CO gas. If any of these sources of CO gas are used in and around your home (and you probably have at least one of them) you will want to have carbon monoxide detectors installed in your home. Everyday we inhale carbon monoxide that is in the air into our body in small amounts and typically is not a health hazard because the levels are so low. However, when we inhale too much CO, typically in contained spaces such as inside a home, it becomes a big problem and can result in carbon monoxide poisoning. If someone breathes in large amounts on CO into their body, it will begin to replace the oxygen in your blood with carbon monoxide. When this happens, you can become unconscious and can lead to death. Yikes! Sounds extreme right? Well it is a big deal. Which is why you should be familiar with the symptoms of carbon monoxide poisoning. You should look out for symptoms that resemble having a cold or the flu. Which is another reason CO is so dangerous, because the symptoms can often times be overlooked or dismissed as a common cold. You should pay attention to the symptoms disappearing if you leave your home and returning when you come back in. Also, if everyone in the home experiences the symptoms at the same time, that is another indication the CO levels could be increased and causing carbon monoxide poisoning. There is an increase in carbon monoxide poisoning in winter months with January being the deadliest month of all. This is because of the increased use of carbon fuel appliances and less ventilation with doors and windows being shut tight to keep the cold air out and unfortunately sometimes the CO gas in. Hopefully you will never find yourself in any of these situations. Which is why it is important, no… it’s critical to take some prevention steps to ensure you prevent CO poisoning from happen to you, your family or anyone else who comes into your home. Pro Tip: Before having a CO detection emergency in your home, call your local fire department to find out exactly what number to call in the event of an emergency and make note of that number. Have heating systems, appliances, chimney flues & generators cleaned/serviced and checked yearly by licensed professionals. Do not use your gas oven to heat your house. Do not leave your fire burning or smoldering when going to bed. Make sure it is out completely. Do not run your cars, lawn mowers, snow blowers, generators or any other gas powered equipment in any part of the house, including the garage, porch or basement. Even opening the windows or doors can still lead to increased levels of CO.
Do not use any alternative heating sources (ex: kerosene heater) inside the house or in the garage. Use gas or charcoal grills outside only. Both during and after snowstorms, clear the snow away from the vents for the dryer, furnace, stove and fireplace. Have carbon fuel burning appliances installed by qualified professionals and operated according to manufacturers instructions. Have heating system inspected & serviced yearly by a qualified professional, including checking proper exhaust ventilation from the chimney and flues. Install CO detectors inside your home according to state or local laws or at least International Residential Code. After reading that last section, I put the last bullet in bold for a reason. Installing carbon monoxide detectors is the #1 action you can take to prevent carbon monoxide poisoning in your home. Surprisingly, only 41.6% of homes have a working carbon monoxide detector, according to a American Housing Survey. So now let’s get into which carbon monoxide detectors you should purchase to protect your family from the silent killer. Below are 4 types of CO detectors you can buy to detect and alert you of elevated levels in your home. Smart Carbon Monoxide Detectors – these are the most advanced and most expensive types of CO detectors. They have smartphone apps to control & monitor the device in real time, as well as notifications that get pushed directly to your phone. They can integrate into other smart home devices for complete control of your home. Hardwired Carbon Monoxide Detectors – these are the most popular types of devices for new construction or if your home is already wired for the CO detectors. If your home doesn’t have the hard wiring installed already a licensed electrician can install for you. Look for battery backups for active monitoring and alerting in the event of a power outage. Battery Operated Carbon Monoxide Detectors – these are a popular option for homes that don’t have hard wiring available or the homeowner doesn’t want to bother with running new wires throughout the home. Keep in mind a battery operated CO detector has a single point of failure if the batteries die. Plug-In Carbon Monoxide Detectors – these are similar to hard wired devices except they plug-in to any A/C wall outlet for their power. Look for plug-in CO detectors with battery backups to avoid a home without CO detection during a power outage. Where you place your carbon monoxide detector may depend on if you follow your states specific recommendations or laws or you could follow the best practices below. Install a CO detector within 10′ of each bedroom or sleeping area of the home. Typically in the hallway if the bedrooms are clustered together. Install a CO detector inside any bedroom or sleeping area that has a fuel burning appliance. Install at least one CO detector on each level of your home. Install a CO detector at least 5-10′ from any carbon monoxide source. 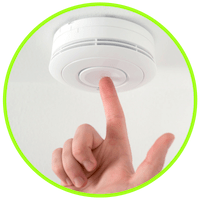 Install a CO detector adjacent to the area or room containing the homes boiler, hot water heater, furnace or other carbon based heating appliance. Including the floor above and the floor below the appliance. Install a CO detector inside the home near the door to an attached garage or car port. Additionally, to installing the carbon monoxide detectors according the recommendations above. 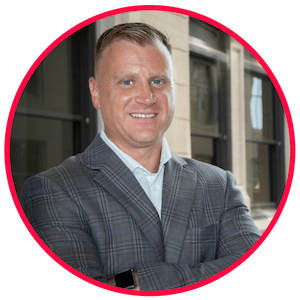 You will want to make sure they are not installed too close to windows or exterior doors to prevent not working correctly due to fresh air in that area of the home. Also, it is generally recommended to replace the CO detectors every 5-7 years to be on the safe side. Finally, always be sure to follow the manufacturer’s instructions for placement and mounting heights. Below, you can select the state you live in to see what the state officials have determined to be applicable for your home state, as well as links to additional state specific information. Keep in mind, the state law does not limit a municipality, city or other local government entity from creating or enforcing any CO detector & alarm requirements that are more stringent than what you will see below for your state. It’s recommended to call your local building department or other local governing office to get the exact requirements. Summary of IRC Code: Carbon Monoxide detectors with audible alarm are required to be installed in all new construction and when any alterations, repairs and additions of homes, apartments, condominiums, and other multi-family units when the dwelling contains a fuel fired appliance or attached garage with an opening to the dwelling. Carbon monoxide alarms in dwelling units shall be installed outside of each separate sleeping area in the immediate vicinity of the bedrooms. When a fuel-burning appliance is located within a bedroom or its attached bathroom, a carbon monoxide alarm shall be installed within the bedroom. ✔ Alaska currently has laws that define how carbon monoxide detectors are to be used. Statute(s): Sec. 18.70.095. Smoke and carbon monoxide detection devices. Summary: Carbon monoxide detection devices must have an alarm and shall be installed and maintained according to manufacturers' recommendations in all qualifying dwelling units in the state. This includes dwelling units occupied under the terms of a rental agreement or under a month-to-month tenancy. ✘ Arizona does not currently have laws that define how carbon monoxide detectors are to be used. ✔ Arkansas currently has laws that define how carbon monoxide detectors are to be used. Summary: For a new home constructed after January 1, 2012, a low-voltage carbon monoxide alarm shall be installed on each floor. ✔ California currently has laws that define how carbon monoxide detectors are to be used. Summary: Owners of a dwelling unit intended for people to live there and having a fossil fuel burning heater or appliance, fireplace, or an attached garage shall install carbon monoxide devices in a manner consistent with building standards or per manufacturer's instructions. The CO devices must be approved and listed by the State Fire Marshal. This includes both new and existing single family homes, hotel and motels and any other types of units where people with reside. ✔ Colorado currently has laws that define how carbon monoxide detectors are to be used. ✔ Connecticut currently has laws that define how carbon monoxide detectors are to be used. Public Act No. 05-161 AN ACT REQUIRING THE INSTALLATION OF CARBON MONOXIDE DETECTORS IN NEW RESIDENTIAL BUILDINGS. Public Act No. 12-184 AN ACT CONCERNING SMOKE AND CARBON MONOXIDE DETECTORS AND ALARMS IN RESIDENTIAL DWELLINGS. Public Act No. 13-272 AN ACT REQUIRING WORKING SMOKE AND CARBON MONOXIDE DETECTORS IN CERTAIN RESIDENTIAL BUILDINGS AT THE TIME TITLE IS TRANSFERRED. Summary: Requires the installation of CO detectors in new one or two family buildings and in existing residences where alterations or additions requiring a permit occur or temporary CO detectors are to be installed if the residence is occupied during construction. Also requires working CO detectors in one or two family residences for which a building permit for new occupancy was issued prior to October 1, 2005 and after October 1, 1985 at the time title is transferred, effective January 1, 2014. Also, when selling a property the owner must certify that operable CO detectors are installed at the time of closing. ✘ Deleware does not currently have laws that define how carbon monoxide detectors are to be used. ✔ District of Columbia currently has laws that define how carbon monoxide detectors are to be used. Summary: In all new and existing residential and institutional dwelling units, including but not limited to apartments, condos, one and two-family houses and townhouses, dormitories and residential institutions, that has either fossil fuel, burning equipment or an attached enclosed garage. A carbon monoxide detector must be installed in the immediate vicinity outside of each sleeping area or grouping of bedrooms in the dwelling unit with very limited exceptions. ✔ Florida currently has laws that define how carbon monoxide detectors are to be used. Summary: All buildings constructed on or after July 1, 2008, and having a fossil-fuel-burning heater or appliance, a fireplace, an attached garage, or anything else that emits carbon monoxide as a byproduct of combustion shall have an approved operational carbon monoxide alarm installed within 10 feet of each room used for sleeping purposes in the new building or addition, or at such other locations as required by the Florida Building Code. All public lodging establishment that also contains sleeping rooms shall be equipped with one or more carbon monoxide detector devices that are listed as complying with the American National Standards Institute/Underwriters Laboratories, Inc. ANSI/UL 2075. ✔ Georgia currently has laws that define how carbon monoxide detectors are to be used. Summary: Require all single-family and two-family homes and townhomes three stories or less install in general sleeping areas. Also newly renovated homes or those requiring a building permit for upgrades have CO detectors installed in the property if it has fuel fired appliances or an attached garage. ✘ Hawaii does not currently have laws that define how carbon monoxide detectors are to be used. ✘ Idaho does not currently have laws that define how carbon monoxide detectors are to be used. ✔ Illinois currently has laws that define how carbon monoxide detectors are to be used. Summary: All homeowners, landlords, and building owners are required to install carbon monoxide (CO) detectors within 15 feet of rooms used for sleeping. This law applies only to those occupancies that use fossil fuel to cook, heat, or produce hot water, or occupancies that are connected to an enclosed garage. In addition, schools are required to be equipped with an approved co device and must be located within 20 feet of a carbon monoxide emitting device. ✘ Indiana does not currently have laws that define how carbon monoxide detectors are to be used. ✔ Iowa currently has laws that define how carbon monoxide detectors are to be used. Summary: Requires the installation of carbon monoxide alarms in existing and new (after July 1, 2018) single-family dwellings, existing single-family rental units, and multiple-unit residential buildings. that have a fuel-fired heater or appliance, a fireplace, or an attached garage. ✘ Kansas does not currently have laws that define how carbon monoxide detectors are to be used. ✔ Kentucky currently has laws that define how carbon monoxide detectors are to be used. Summary: Required in newly constructed one and two family dwellings, townhomes not more than 3 stories, apartment buildings, dormitories, adult/child care facilities and assisted living facilities which contain a fuel-burning-appliance or an attached garage. On existing homes owners are required to install the detectors when they open a permit for improvements. Detectors need to be placed outside of each sleeping area in the immediate vicinity of all bedrooms in the dwelling. ✔ Maine currently has laws that define how carbon monoxide detectors are to be used. Summary: Requires the owner to install by the manufacturer's requirements at least one approved carbon monoxide detector in each bedrooms in multi-families, rental properties, fraternity houses, sorority houses or dormitory that is affiliated with an educational facility, a children's home, hotels, motels, inn or bed and breakfast. Or in the event of a sale of a single-family dwelling or a multi-apartment building the new owner shall install carbon monoxide detectors in the acquired dwelling within 30 days of acquisition or occupancy. ✔ Maryland currently has laws that define how carbon monoxide detectors are to be used. Summary: Required in a dwelling unit that relies on a fossil fuel (e.g., wood, kerosene, gasoline, charcoal, propane, natural gas, and oil) for heat, ventilation, hot water, or clothes dryer operation and is a newly-constructed dwelling with a building permit issued on or after January 1, 2008. The CO detector must be installed in a central location outside of each sleeping area OR, if there is a centralized alarm system capable of emitting a distinct and audible sound to warn all occupants, the carbon monoxide alarm may be installed within 25 feet of any carbon monoxide-producing fixture and equipment. ✔ Massachusetts currently has laws that define how carbon monoxide detectors are to be used. Summary: Required to have carbon monoxide alarms installed in most residences, they are to be located on every level of a home or dwelling unit including habitable portions of basements and attics. On levels with sleeping areas the alarms must be placed within ten feet of the bedroom doors. CO alarms do not go inside garages. ✔ Michigan currently has laws that define how carbon monoxide detectors are to be used. Summary: Requires at the time of initial construction of a single-family dwelling or a multifamily dwelling, or at the time of renovation of any existing single-family dwelling in which a permit is required, or upon the addition or creation of a bedroom, the installation of at least 1 operational and approved carbon monoxide device within the single-family dwelling or within each unit of the multifamily dwelling. A carbon monoxide device shall be located in the vicinity of the bedrooms, which may include 1 device capable of detecting carbon monoxide near all adjacent bedrooms; in areas within the dwelling adjacent to an attached garage; and in areas adjacent to any fuel-burning appliances. ✔ Minnesota currently has laws that define how carbon monoxide detectors are to be used. Summary: Requires every single family dwelling and every dwelling unit in a multifamily dwelling must have an approved and operational carbon monoxide alarm installed within ten feet of each room lawfully used for sleeping purposes. ✘ Mississippi does not currently have laws that define how carbon monoxide detectors are to be used. ✘ Missouri does not currently have laws that define how carbon monoxide detectors are to be used. ✔ Montana currently has laws that define how carbon monoxide detectors are to be used. Summary: Requires landlords to install in each dwelling unit under the landlord’s control an approved carbon monoxide detector. The landlord is required to verify the CO detector is in good working order at the beginning of the tenancy. It is the tenant’s responsibility to maintain the carbon monoxide detector in working order during the tenancy. ✔ Nebraska currently has laws that define how carbon monoxide detectors are to be used. Summary: Requires that carbon monoxide detectors be installed in all residences that are sold, rented or significantly renovated. Install a minimum of one detector per habitable floor of a dwelling unit that has fuel-fired heater or appliance, a fireplace or attached garage. ✘ Nevada does not currently have laws that define how carbon monoxide detectors are to be used. ✔ New Hampshire currently has laws that define how carbon monoxide detectors are to be used. Summary: Requires that each single family dwelling and multi-unit dwelling that is newly constructed or substantially rehabilitated after January 1, must be equipped with a carbon monoxide detector. Detectors should be installed outside of each separate sleeping area in the immediate area of the bedrooms. Also, every occupiable level of a dwelling unit, including basements, excluding attics and crawl spaces. Each individual dwelling unit contained in a multi-unit dwelling shall be equipped with a carbon monoxide alarm or detector as required above. ✔ New Jersey currently has laws that define how carbon monoxide detectors are to be used. Summary: Requires every single-family home, two-family home, condominium, cooperative and each unit of a multiple dwelling building, restaurant or commercial building require a working CO detector. If the building contains a fuel-fired appliance or has an attached garage, CO alarms are required in the vicinity of the bedrooms. ✘ New Mexico does not currently have laws that define how carbon monoxide detectors are to be used. ✔ New York currently has laws that define how carbon monoxide detectors are to be used. Summary: Requires CO alarms to be installed in all new and existing one and two-family dwellings, multifamily dwellings and rentals with a fuel-burning appliance, system or attached garage. ✔ North Carolina currently has laws that define how carbon monoxide detectors are to be used. Summary: Require the installation of carbon monoxide alarms in new and existing one-and-two-family dwellings and townhouses. An approved carbon monoxide alarm needs to be installed outside of each separate sleeping area in the immediate vicinity of the bedroom(s) as directed by the alarm manufacturer. ✘ North Dakota does not currently have laws that define how carbon monoxide detectors are to be used. ✔ Ohio currently has laws that define how carbon monoxide detectors are to be used. Summary: CO detection is now required in any dwelling unit, sleeping unit, or classroom that contains or served by a fuel burning appliance or a fuel-burning fireplace or in a building with an attached private garage. The detection has to be installed in the dwelling unit outside of each separate sleeping area in the immediate vicinity of the bedrooms. ✔ Oklahoma currently has laws that define how carbon monoxide detectors are to be used. Summary: Carbon monoxide alarms are now required to be hard wired and interconnected on new homes. They also have to be outside all sleeping areas. If you have a split-bedroom plan, it has to be outside each sleeping room. If two bedrooms in a central hallway, then just one is needed. ✔ Oregon currently has laws that define how carbon monoxide detectors are to be used. Summary: Requires a homeowner to equip a one-family, two-family or muiltifamily dwelling that has a carbon monoxide source with carbon monoxide alarms before transferring title. Also prohibits landlords from renting out dwelling that has carbon monoxide source or is located within structure that has carbon monoxide source, unless dwelling unit is equipped with carbon monoxide alarm. ✔ Pennsylvania currently has laws that define how carbon monoxide detectors are to be used. Summary: Upon the sale of a residential building, the seller shall disclose information regarding the installation of carbon monoxide detectors on the property disclosure statement. Each apartment in a multifamily dwelling, which uses a fossil fuel-burning heater or appliance, fireplace or an attached garage, must have an operational, centrally located and approved carbon monoxide alarm installed in the vicinity of the bedrooms and the fossil fuel-burning heater or fireplace. The owner of a multifamily dwelling having a fossil fuel-burning heater or appliance, fireplace or an attached garage used for rental purposes and required to be equipped with one or more approved carbon monoxide alarms. ✔ Rhode Island currently has laws that define how carbon monoxide detectors are to be used. Summary: Homes built on or before February 19, 2004 carbon monoxide detectors shall be installed outside sleeping areas. Homes built on and after February 20, 2004 through December 31, 2012 All new residential (including apartments and condominiums) require hard-wired, interconnected CO alarms with battery back up outside the bedroom areas. Homes built on and after January 1, 2013 Carbon Monoxide Detectors shall be installed in accordance with NFPA 720 (2012 Edition). ✔ South Carolina currently has laws that define how carbon monoxide detectors are to be used. Summary: South Carolina has adopted the 2012 versions of the International Building Code, International Residential Code, and International Fire Code. These codes require the installation of CO alarms in certain new and existing buildings meeting the definition of “Group I” and “Group R” occupancies, such as hotels, boarding house, dormitories, apartment buildings and hospitals. Also, carbon monoxide detection shall be provided in dwelling units, sleeping units and classrooms located in buildings that contain fuel burning appliances or fuel-burning fireplaces. Also Carbon monoxide detection shall be provided in dwelling units, sleeping units and classrooms in buildings with attached private garages. ✘ South Dakota does not currently have laws that define how carbon monoxide detectors are to be used. ✔ Tennessee currently has laws that define how carbon monoxide detectors are to be used. Summary: Required installing an approved carbon monoxide alarm within ten feet (10') of each room used for sleeping purposes in hotels that have a fossil-fuel-burning heater or appliance, a fireplace, or other feature, fixture, or element that emits carbon monoxide as a byproduct. ✔ Texas currently has laws that define how carbon monoxide detectors are to be used. Summary: Texas law requires that any residential and commercial structures with both sleeping areas and any fuel-burning appliances must install and maintain carbon monoxide alarms. A carbon monoxide detector must be installed outside of each separate bedroom and in the immediate vicinity of every bedroom. Also, in a bedroom that contains a fuel-burning or solid-fuel appliance, in a bathroom attached to the sleeping area or in a garage attached to the sleeping area. ✔ Utah currently has laws that define how carbon monoxide detectors are to be used. Summary: Requires carbon monoxide alarms on each habitable level in new residential structures regulated by state residential code that are equipped with fuel burning appliances. ✔ Vermont currently has laws that define how carbon monoxide detectors are to be used. Summary: Requirements for carbon monoxide, or CO, detectors (alarms) went into effect in 2005 for all buildings where people sleep. In owner occupied single family free standing dwellings, rental units, condos and multi family dwellings or other residential public buildings, CO alarms are required to be installed in the vicinity of any bedrooms for all new dwellings and dwellings that are sold or transferred. ✔ Virginia currently has laws that define how carbon monoxide detectors are to be used. Summary: Virginia Residential Landlord and Tenant Act to require a landlord to install carbon monoxide alarms upon the written request of a tenant. The bill also provides that the landlord may charge a reasonable fee for the installation of the alarms and that the installation must be in compliance with the Uniform Statewide Building Code. SB 490 Carbon monoxide alarms; required installation by landlord in rental dwelling units, cost to tenant. ✔ Washington currently has laws that define how carbon monoxide detectors are to be used. Summary: Requires carbon monoxide alarms to be installed in new residences. As of January 1, 2013, carbon monoxide alarms are required in existing apartments, condominiums, hotels, motels, and single-family residences, with some exceptions. Owner-occupied single-family residences, legally occupied before July 26, 2009, are not required to have carbon monoxide alarms until they are sold. ✔ West Virginia currently has laws that define how carbon monoxide detectors are to be used. Summary: Requires carbon monoxide alarms be installed in any newly constructed residential unit which has a fuel-burning heating or cooking source. In any residential unit which is connected to a newly constructed building, including, but not limited to, a garage, storage shed or barn, which has a fuel-burning heating or cooking source. In either a common area where the general public has access or all rooms in which a person will be sleeping that are adjoining to and being directly below and above all areas or rooms that contain permanently installed fuel- burning appliances and equipment that emit carbon monoxide as a byproduct of combustion located within all apartment buildings, boarding houses, dormitories, long-term care facilities, adult or child care facilities, assisted living facilities, one- and two- family dwellings intended to be rented or leased, hotels and motels. ✔ Wisconsin currently has laws that define how carbon monoxide detectors are to be used. Summary: The law requires a carbon monoxide alarm on each level of all one and two family residences having any fuel burning appliance, fireplace or attached garage. The above data is the property of the ISoldMyHouse.com and is intended as a reference for our website visitors. ISoldMyHouse.com makes no warranty, expressed or implied, or assumes any legal liability or responsibility for third party use of this information, or represents that its use by such third party would not infringe on privately owned rights. How many CO detectors do I need? How many carbon monoxide detectors you need depends on many factors including, sources of CO, how many floors is in your home, if you have an attached garage, state and local laws, etc. We recommend you read our sections “Carbon Monoxide Detector Placement” and “Carbon Monoxide Detector Laws By State” to get an accurate answer for your situation. Why is my CO detector making a chirping noise? A chirping or beeping noise from your CO detector means a notification condition has been triggered. It could be because the detector has a low battery, reached end of life, malfunctioned, warning or an error. Please refer to the users manual for your device. Should a CO detector be UL certified? Yes. A UL certified CO detector will meet established criteria for high quality alarms. A UL certified device will only alert after levels have increased to over 30 ppm and will alert more frequently as higher thresholds are reached. Also, a UL certified device’s alarm will be at least 85 decibels to ensure the alarm can be heard from at least 10’ away. How often should I change the batteries in my CO detector? If your detector is battery operated or has a battery backup, then the batteries should be replaced yearly. The consumer product safety commission recommends changing them when daylight savings time ends. You could also replace the batteries when daylight savings time ends and begins to be extra safe. How often do I test a carbon monoxide detector? At a minimum, carbon monoxide alarms should be tested once a month, but once a week is recommended. How loud should the alarm be? A UL certified device will be at least 85 decibels. Anything less than this is not recommended. Should I interconnect my carbon monoxide devices? Yes. It is a best practice to have interconnected devices because when one sounds, they all sound. This allows you to hear the alarm no matter where you are in the home. Most interconnected devices are hardwired systems but some battery operated can also interconnect. What is a voice alert? A CO device equipped with voice alerts will have a human voice announce the alarm condition and possibly the location where the alert was detected to eliminate any confusion by the occupants. What does the digital display show me? A CO detector with a digital display will provide the current reading of CO levels measured in the home, peak levels over time, alert status and the battery condition. Are hardwired better than battery powered CO detectors? Yes. It’s a best practice to have hardwired carbon monoxide detectors with a batter backup. This eliminates single point of failures and allows for interconnected devices.